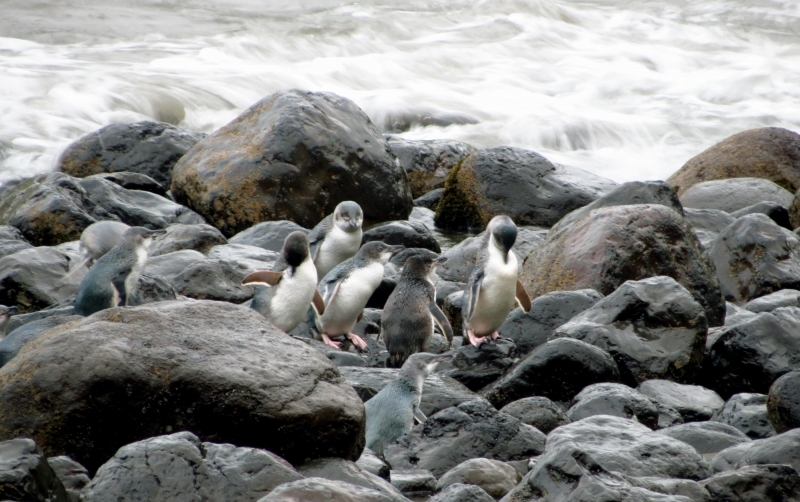 White-Flippered Penguins are found primarily on Banks Peninsula on the east coast of New Zealand’s South Island and on Motunau Island near Canterbury. 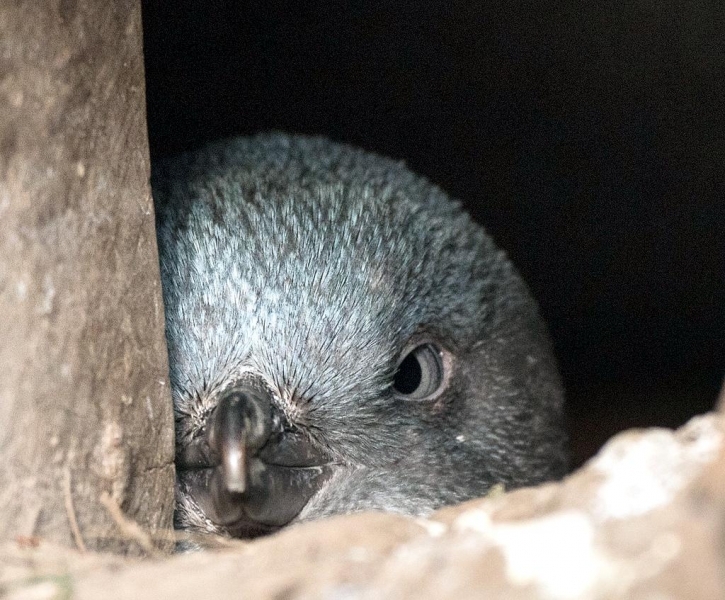 The White-flippered Penguin was previously classified as a subspecies of the Blue Penguin and thought to be just a color morph. 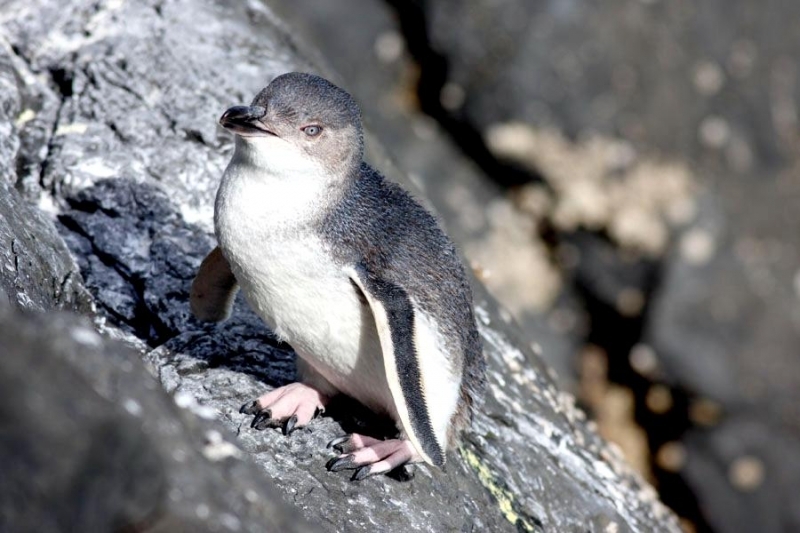 However, recent genetic analysis looking at both nuclear & mitochondrial DNA, has found the White-flippered Penguin distinct from the rest of the Blue Penguins and treated it as a full species. 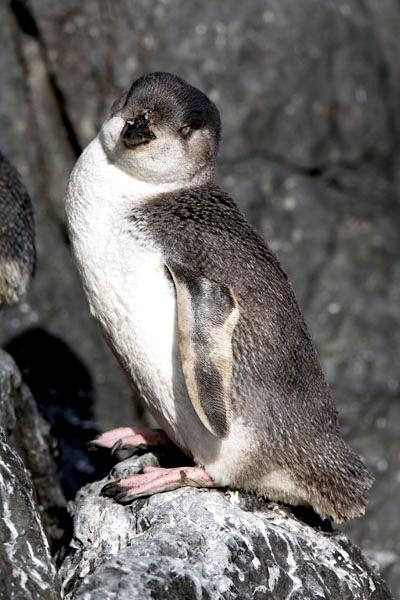 The White-Flippered Penguin has blue-gray dorsal feathers, a white underside and distinguishing broad white trailing and leading edges. It has a body length of up to 16.1 inches and a weight of about 3 pounds. 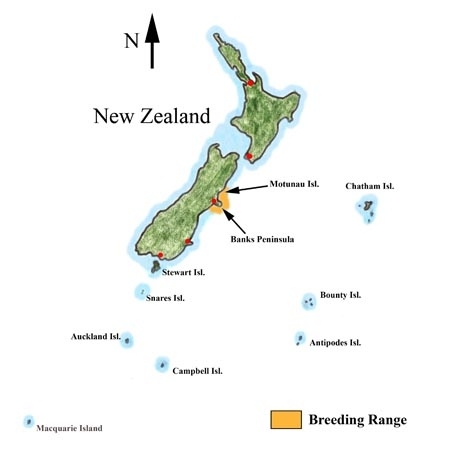 A total population of about 10,500 birds was estimated following surveys in 2000-2002, with about 1,650 nests on Montunau Island and 2,100 nests on Banks Peninsula, the latter being spread over 68 colonies. About a third of the Banks Peninsula population is located at Flea Bay. 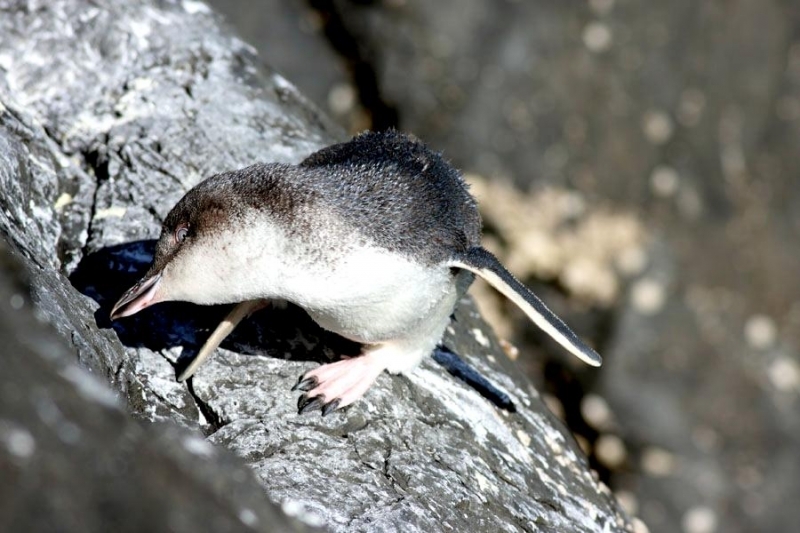 White-Flippered Penguins primarily feed on small fish however, squid & crustaceans will also be eaten if fish supplies are insufficient. 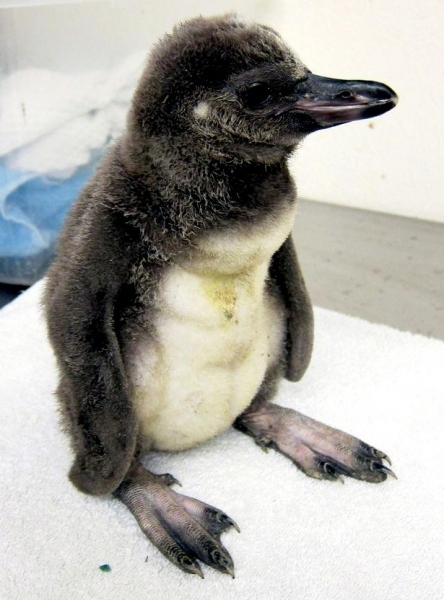 Small fish are swallowed head-first under water, while the penguin usually surfaces to eat more than 3 centimeters long. 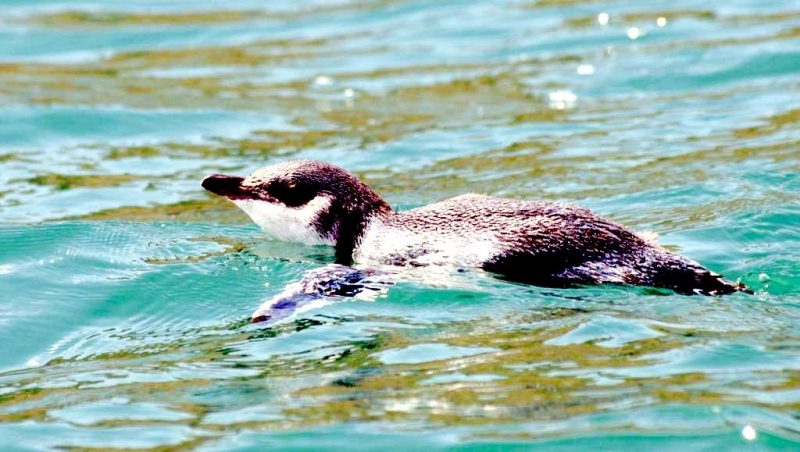 Feeding is during daylight, when the White-Flippered Penguin can see the silvery reflection of light on the fish. Maximum dive depths of over 50 meters have been recorded, yet most hunting takes place in depths of less than 20 meters. Most feeding takes place within 25 kilometers of the coast with daily round trips of 75 kilometers being recorded. 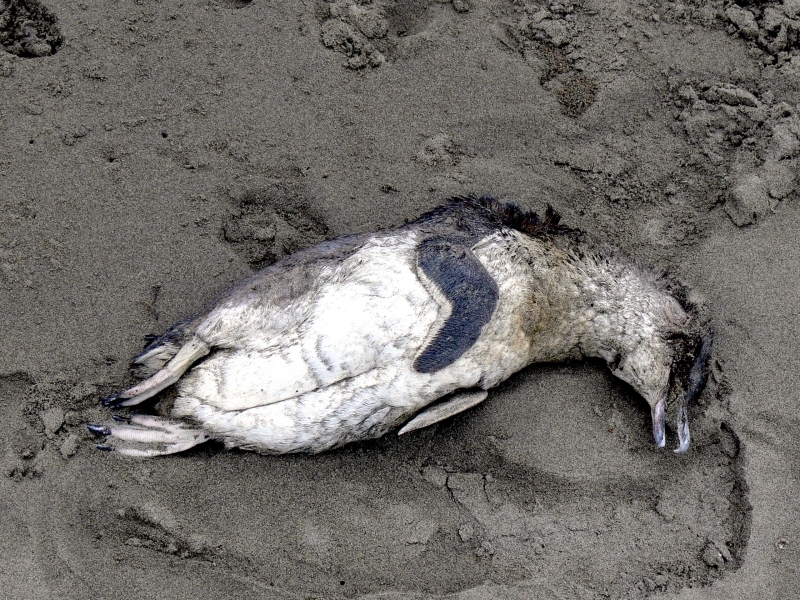 Around Banks Peninsula, White-Flippered Penguins have been observed to concentrate in several bays. 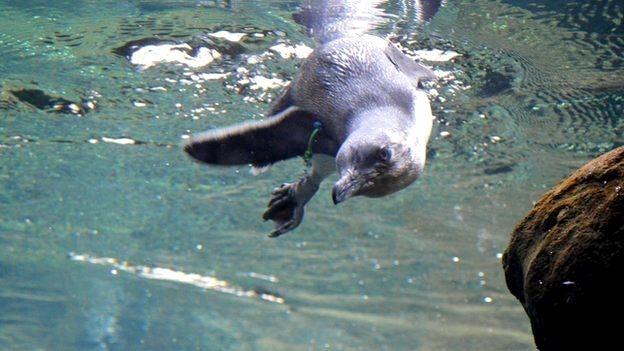 During the winter, White-Flippered Penguins may swim further from the colony with distances of 750 kilometers having been recorded, although they tend to stay within 20 kilometers of the coastline. 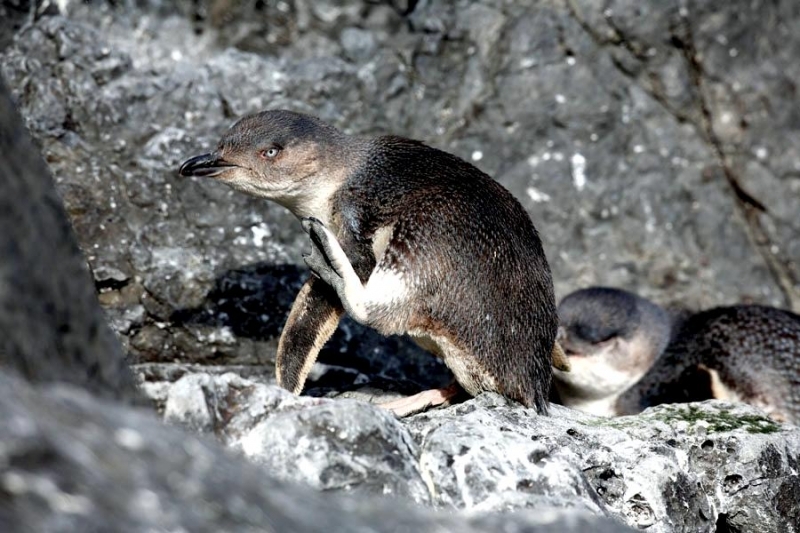 White-Flippered Penguins tend to be very faithful to nesting sites. Similarly, pair bonds are strong and are commonly maintained over many seasons. This may be the result of the nearly year-round presence at the colony. Less than 1% are thought to move to other colonies during their lifetimes. 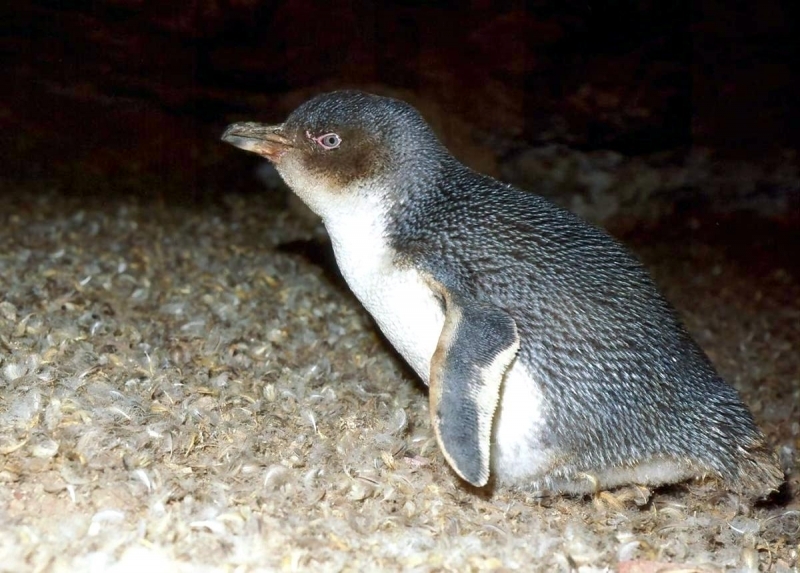 Nesting occurs in underground burrows, usually in soft ground near beaches. Burrows may be dug if necessary using bills & feet. 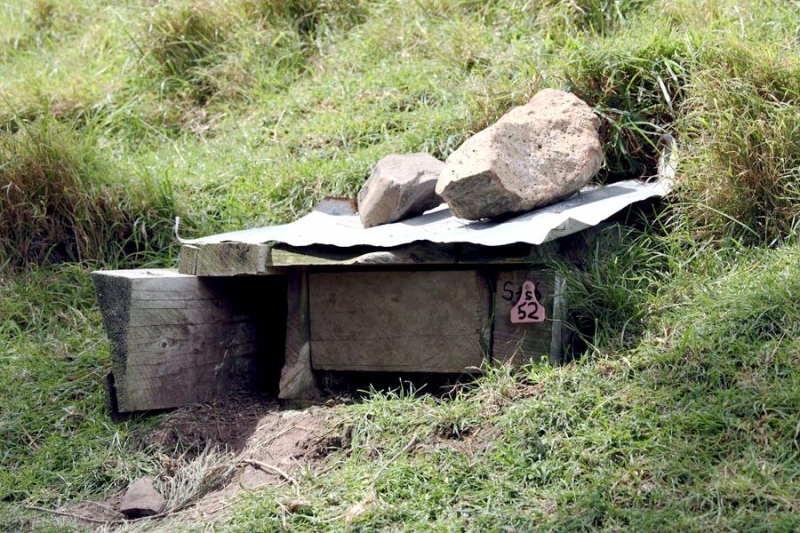 These are usually at least 2 meters apart and burrow entrances are defended vigorously. 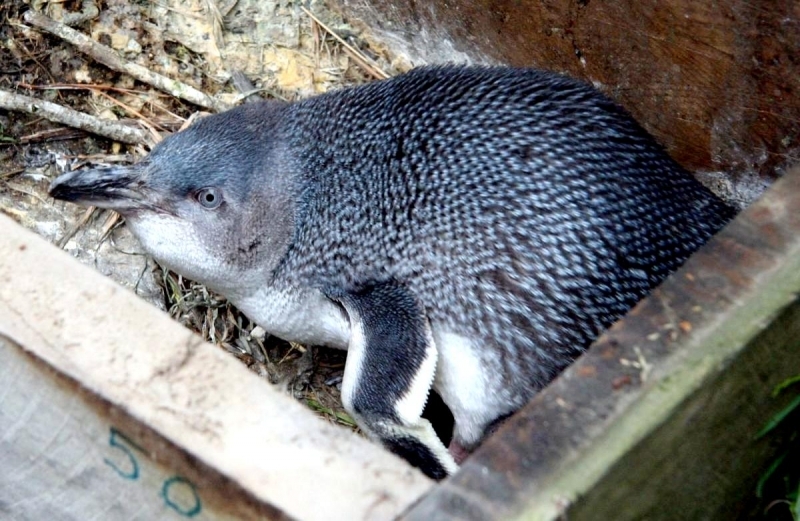 Nesting under houses or in artificial nest boxes is also common. 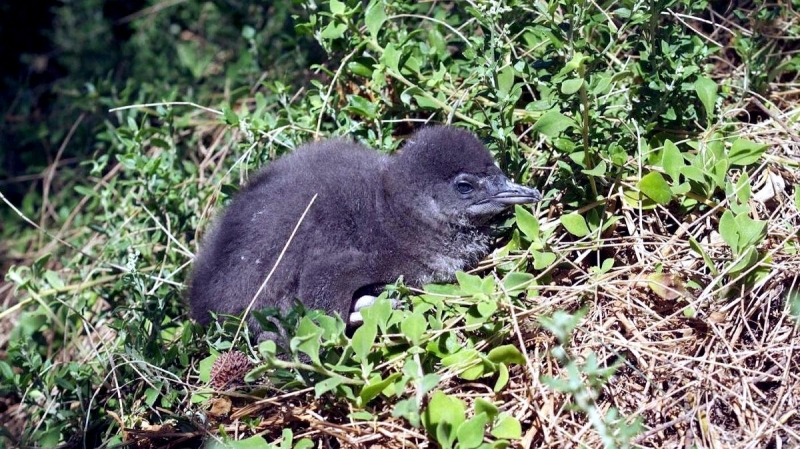 Plant materials including grass and seaweed is used to line nests. 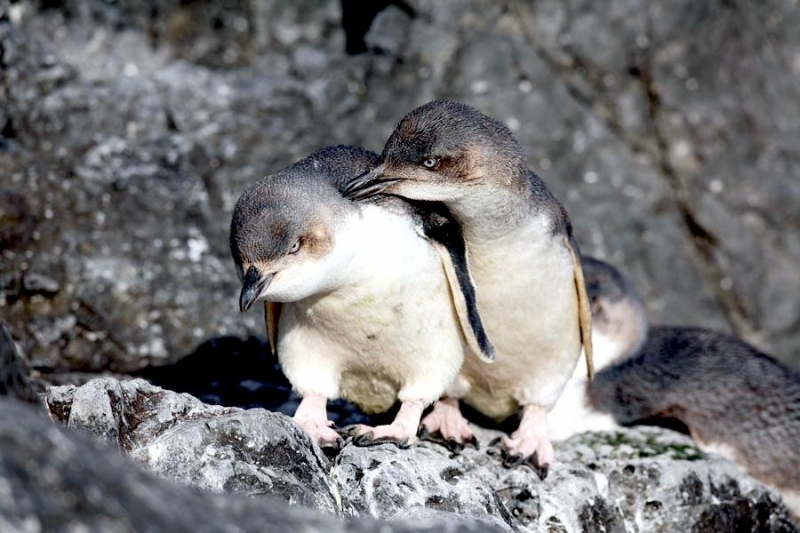 The main breeding season usually commences around September, although when food is plentiful eggs may be laid from May to February with 2 pairs of chicks being raised. Egg laying is not strongly synchronized between individuals in a colony. 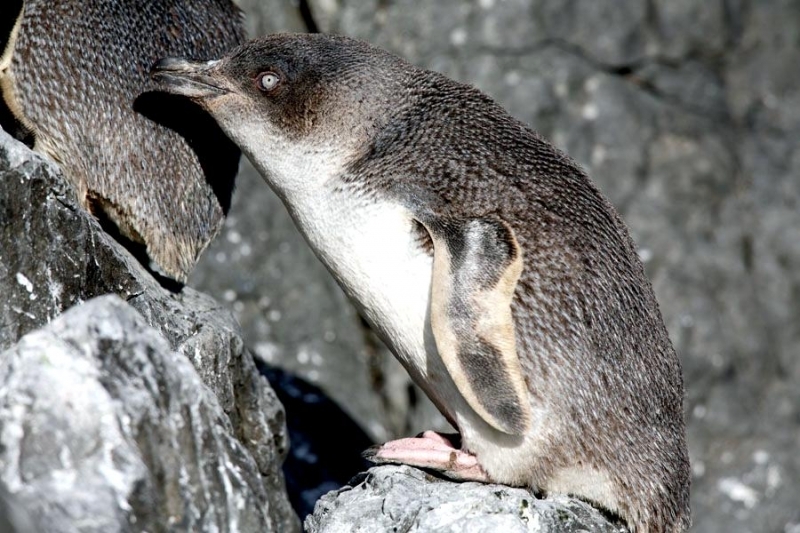 Males may occupy a nest first or find a partner before doing so depending on the colony. Courtship displays are at many sites adapted to nesting conditions. For example, in narrow burrows a classic upward-stretched ecstatic display may not be possible. Copulation also occurs in burrows. 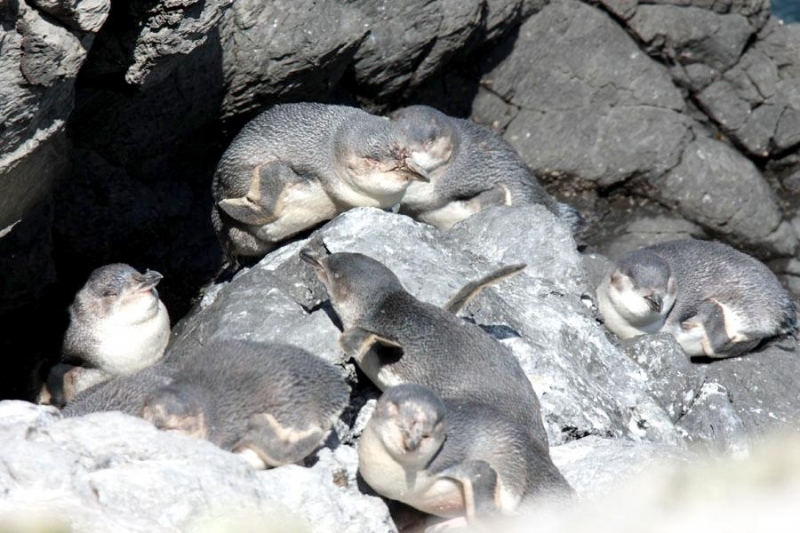 Drumming of the males flippers on the female which generally precedes copulation, may be audible outside burrows. 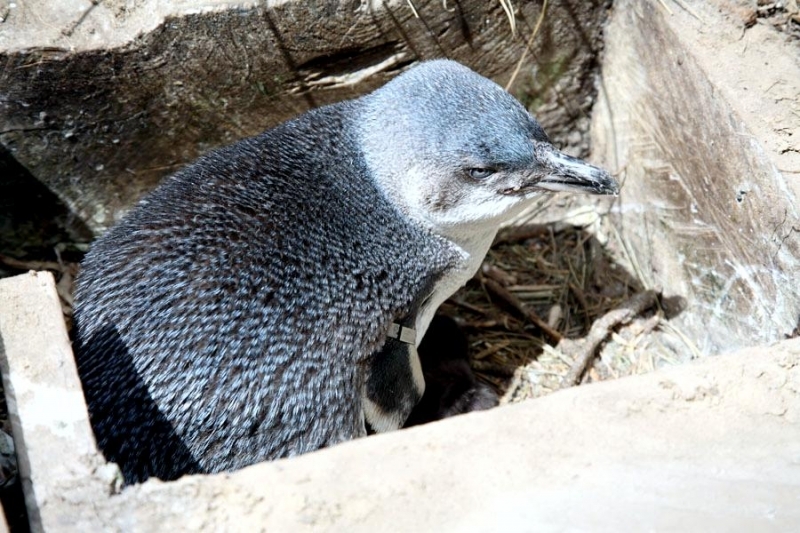 The White-Flippered Penguin lays eggs from July to December, with the most egg-laying occurring August through November. 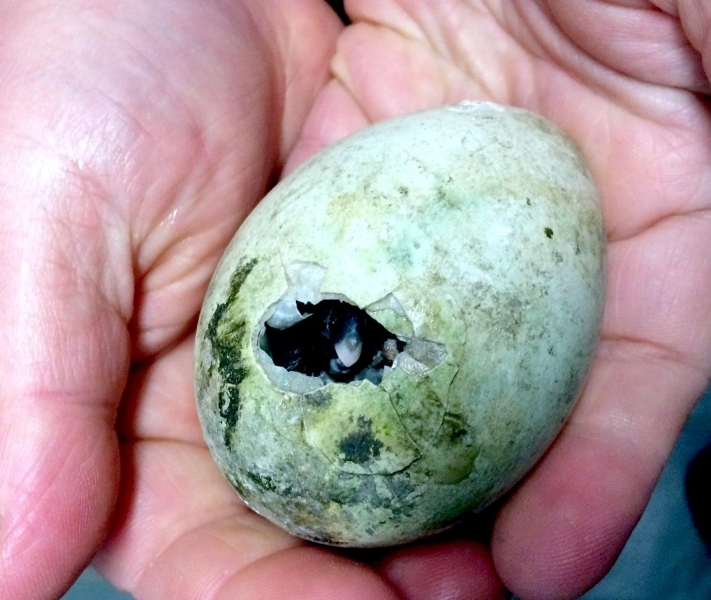 Eggs are laid in a burrow lined with plant material or in hollows under bushes or rocks, in dunes or on vegetated slopes and are incubated for 33 to 39 days. Chicks fledge after 50 to 65 days. 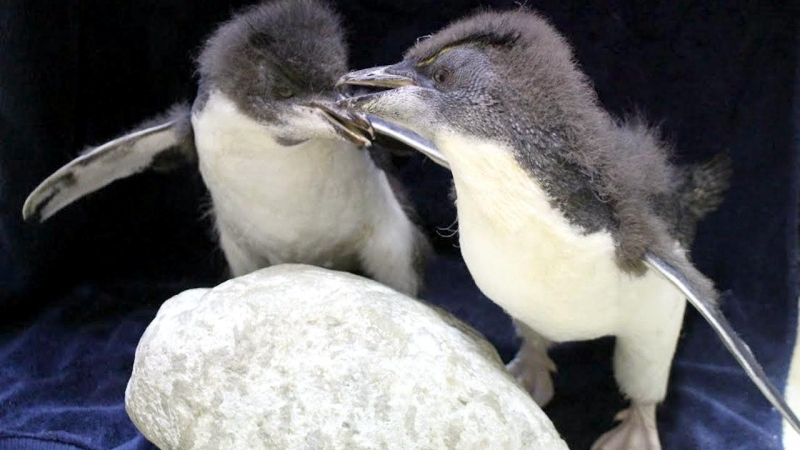 Parents alternate in egg incubation which takes 5 weeks and feeding and brooding the chicks for a further 2-3 weeks after which both parents go to sea to collect food. Chicks then stay alone in nests and may come to the entrance at dusk to await the adults. 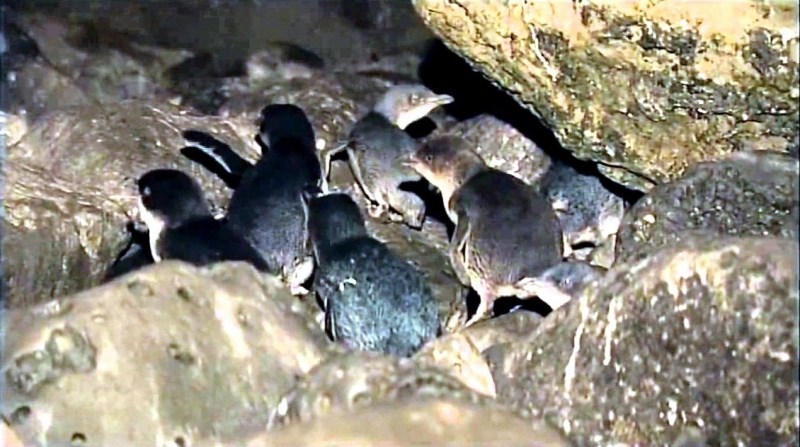 Creching is unusual but may occur when birds live together in large caves. After about 8 weeks, fledglings start to go to sea. Young birds may stay far from the colony until reaching sexual maturity at an age of 2-3 years when they usually return. 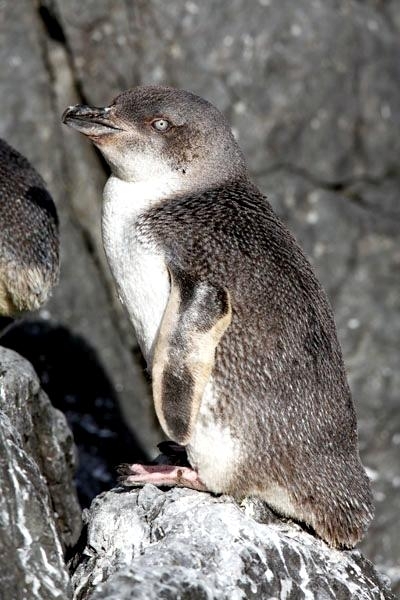 White-Flippered Penguins are primarily nocturnal animals on land and are unique among penguins in this respect. Most individuals leave and return to their colonies under cover of darkness. However on Banks Peninsula, some birds can be observed on land outside of their burrows during daylight. This is unusual and involves small numbers of birds in areas not subject to much disturbance. In the evening, birds tend to assemble offshore in groups until light levels are low enough for them to head onto land. This results in large batches of birds arriving nearly simultaneously. 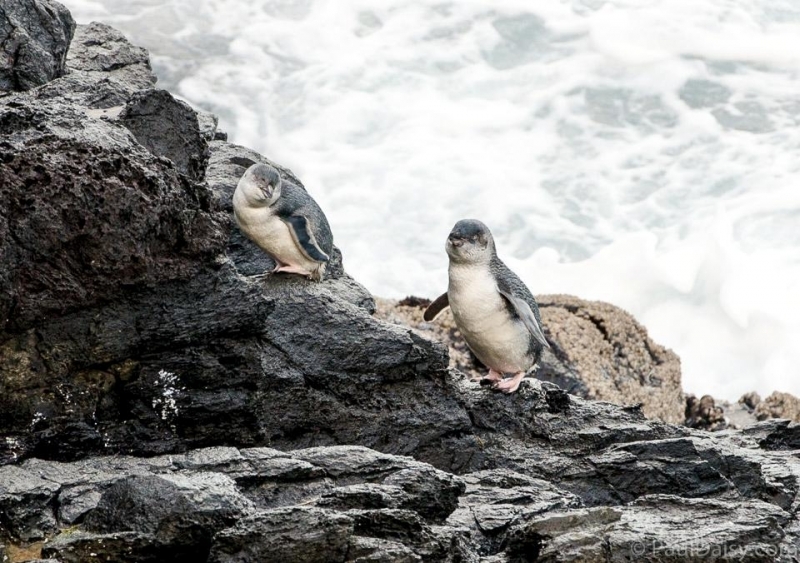 White-Flippered Penguins are regarded as quite aggressive. 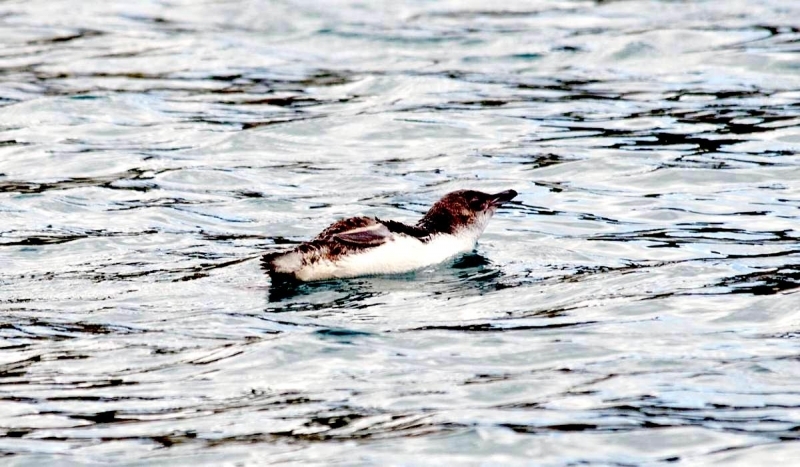 Two main aggressive stances can be observed, body held low with beak pointing at the adversary and flippers raised above body and the second displaying the body upright, feathers on head erect and flippers outstretched. In both cases, the White-Flippered Penguin can growl or bray to emphasize the stance. 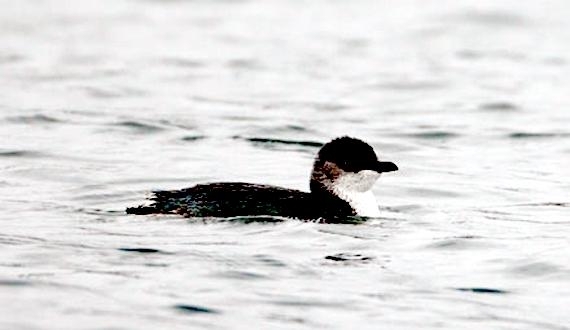 If fighting occurs, both birds may sustain significant injuries to the face and eyes. 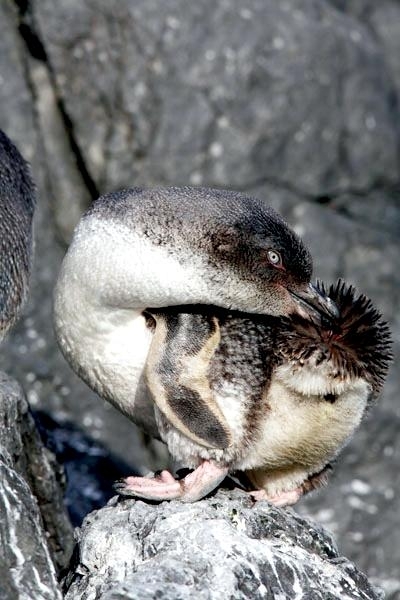 On the other hand, White-Flippered Penguins may be observed allopreening each other. This behavior is not only limited to partners. 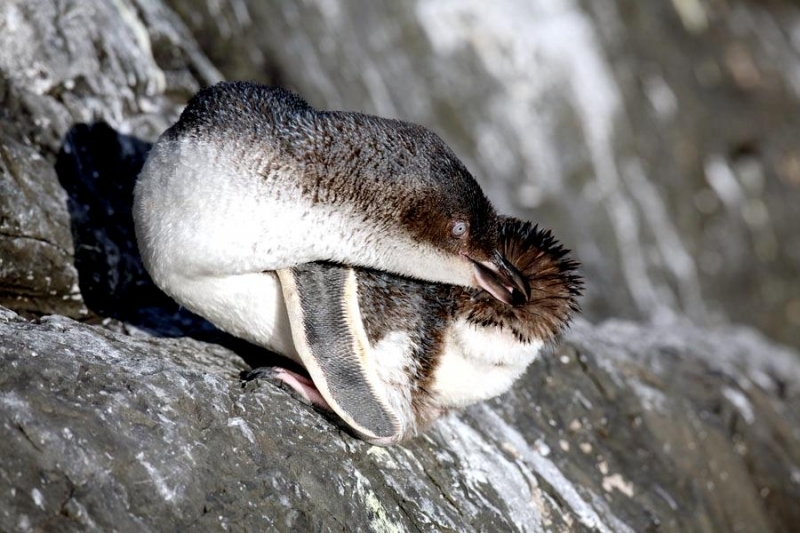 White-Flippered Penguins may preen themselves on rocks during daylight on certain parts of Banks Peninsula. 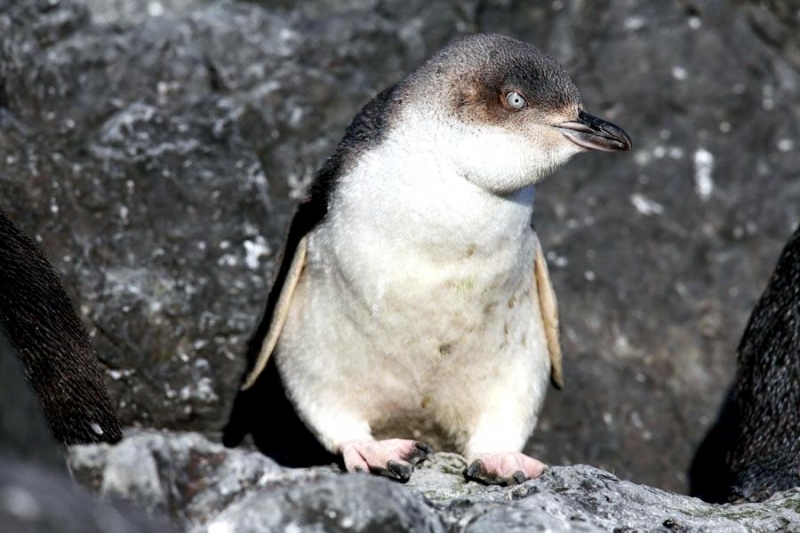 The main threat to colonies of White-Flippered Penguins are the introduction of mammalian predators such as dogs, cats and ferrets that kill birds at their colonies. Foxes & dogs are particularly problematic since they may kill up to 50 birds in a single night, in worst cases leading to complete loss of the colony. 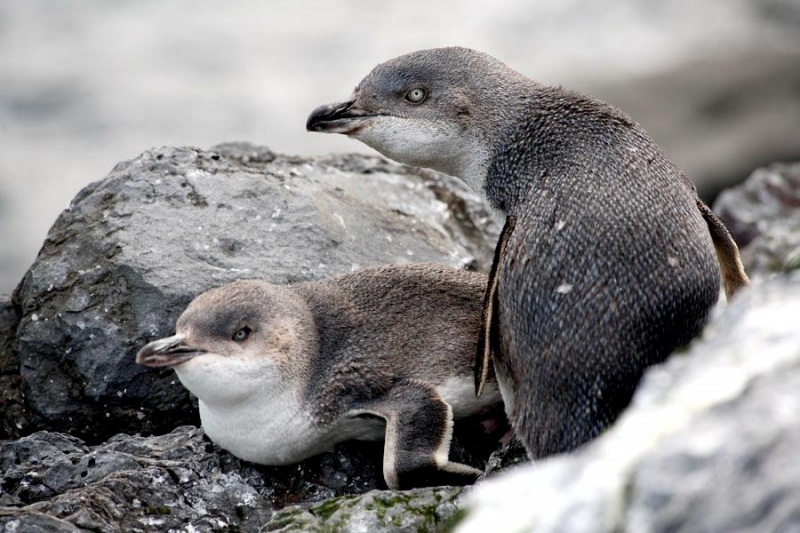 Since it is not possible to protect all mainland colonies, a further concentration of White-Flippered Penguins at larger sites with predator control measures in place is likely to occur. Natural predators include sharks, fur seals, gulls and eagles. 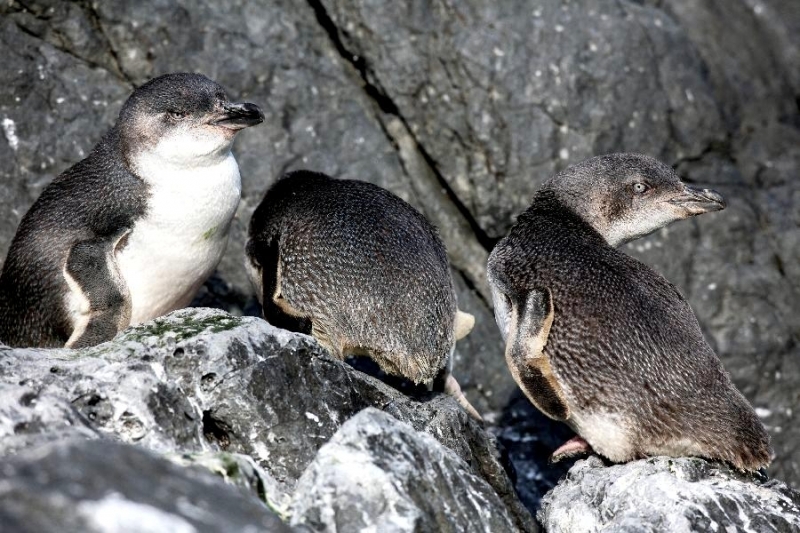 Human development is also a problem as many penguins are killed on coastal roads, nesting sites may be lost to development or trampled on by humans or livestock and White-Flippered Penguins may become entangled in or ingest rubbish. Further, dog attacks are most common near settlement areas. Nesting sites can be damaged by fire or overgrazing by livestock or rabbits, which removes the protective vegetation and increases problems with erosion or flooding at the nesting site. Fisheries may be a problem, particularly in times of food shortages. Controlled tourism does not appear to be a major threat to colonies. The key land-based threats continue to be predation by introduced predators and habitat degradation by human activities. 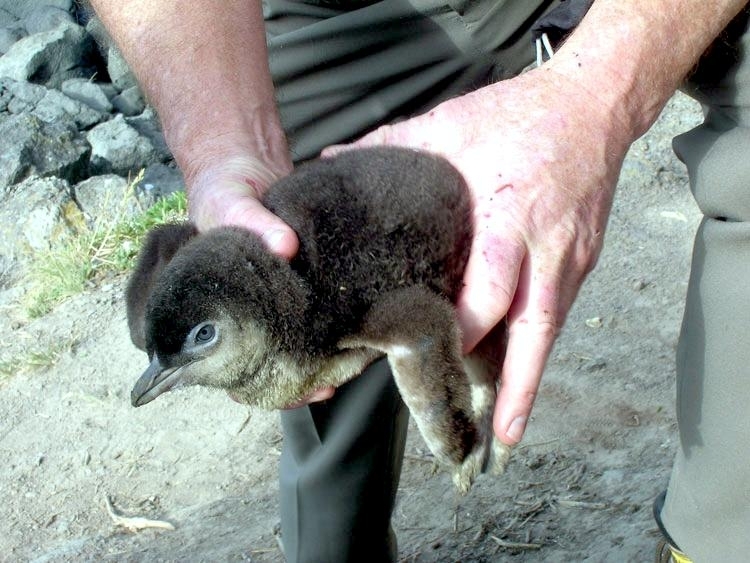 At sea, White-Flippered Penguins have been frequently caught in nearshore set nets, especially around Motunau Island. 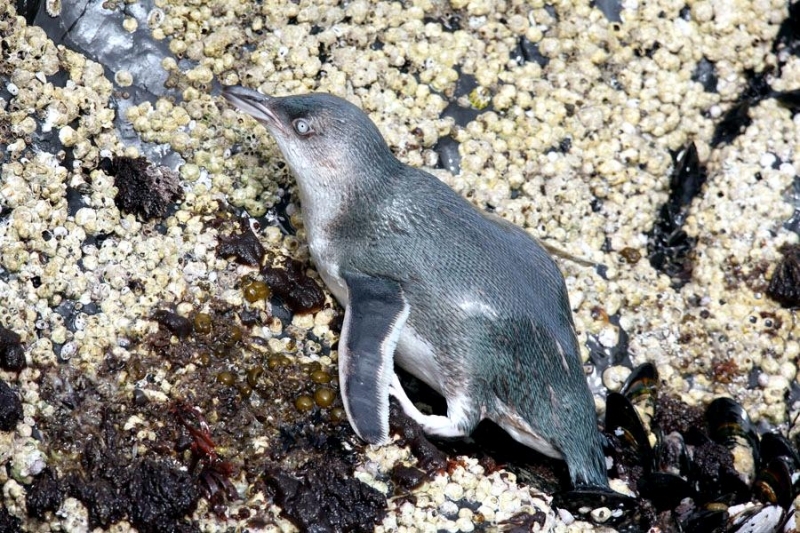 A large oil spill would be disastrous to this penguin and the threat is high because the birds nest in areas near shipping lanes. 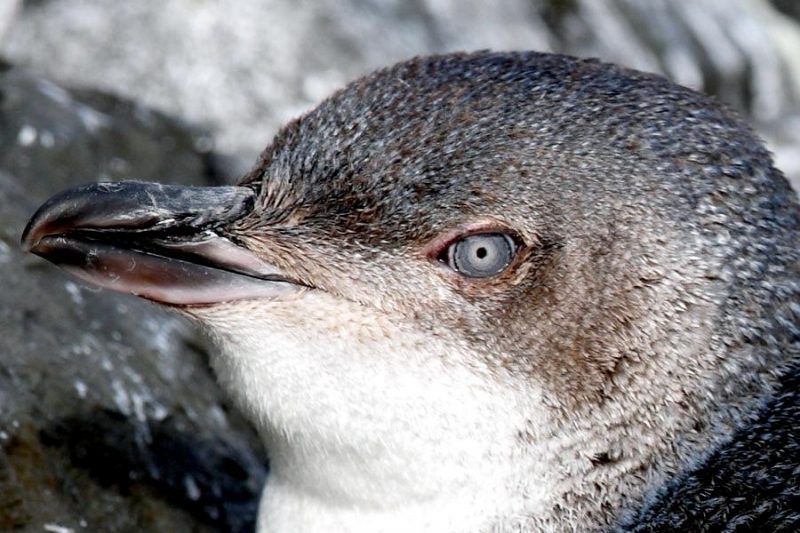 Like all penguins, the White-Flippered Penguin is also severely threatened by global warming, which reduces prey availability.